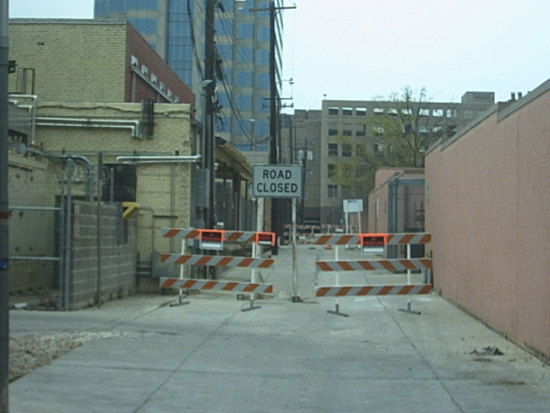 The Alley on the north side of the Austin Warehouse from San Jacinto Boulevard on 3/5/2005. 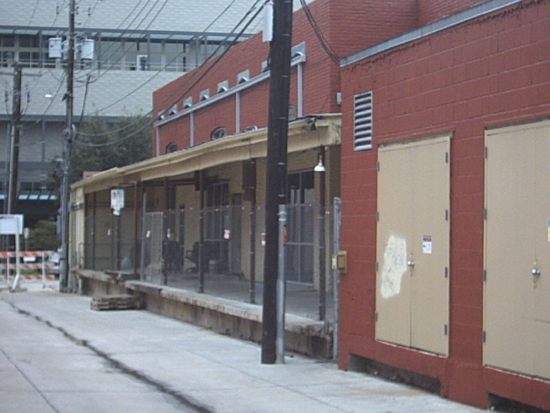 The Alley connects San Jacinto Boulevard to Trinity Street. 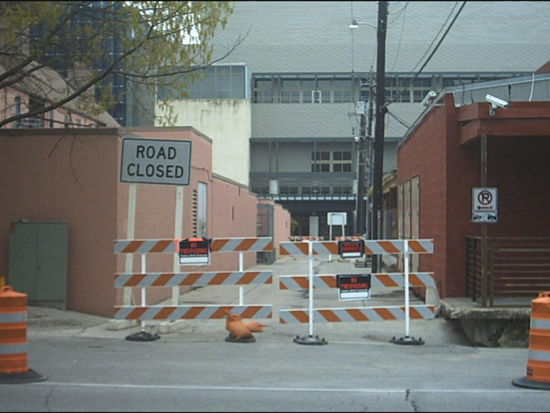 In this picture, you can see that the Alley was closed off during the filming of the series. You can also see the cameras that were mounted on the northwest corner of the Warehouse. Another view of the Alley from San Jacinto Boulevard. The loading dock was most likely where the production crew would enter/exit the Warehouse. Another view of the Alley from behind the Rear Warehouse Building looking towards San Jacinto Boulevard.